Many players encounter a situation where they need mob drops but can't hunt the mobs because it is day time. This issue is especially prominent on servers. This mod hopes to solve this issue, and any potential disputes it may cause by providing a hunting dimension. The hunting dimension provided by this mod is eternally night, meaning that mobs can spawn all day long. The mobs that spawn in the hunting dimension are not like the mobs that normally spawn in the game. They will have additional natural armor, higher amounts of health and do more damage. These buffs to the mobs can be increased/decreased/disabled by changing the config file. Players in the hunting dimension will also experience beneficial potion effects wearing off twice as fast as they should. Mobs killed have a (configurable) chance to drop additional loot. As if they had +1 looting applied to their drops. Mobs killed have a (configurable) chance to drop a (configurable) amount of additional experience. Dimension has significantly less cave generation, improving mob farm efficiency. Building mob farms in one dimension makes sources of lag easier to track down. Portal blocks are crafted by surrounding an arrow with 8 wooden logs. The frame of the portal behaves in the same way as the nether portal. The portal can be lit by right clicking on it with most weapons. If all else fails, flint and steel can also light the portal. Once the portal is activated, enter it and sneak. Creeping moss is a craftable item that allows the player to change the type biome of a chunk in the hunting dimension. 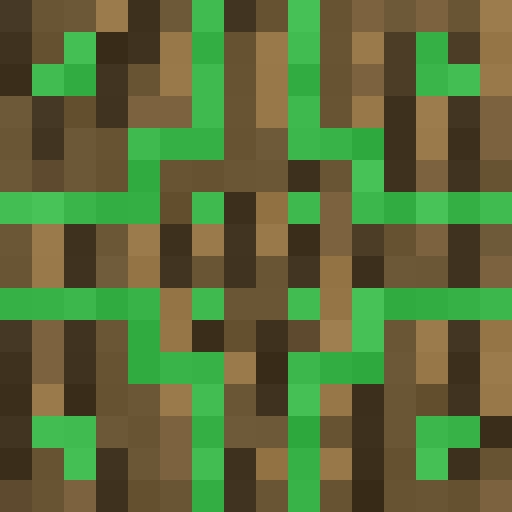 Creeping moss can be crafted by surrounding a block of mossy cobblestone with 8 vines, leaves or saplings. Once you have crafted the creeping moss, you can sneak and right click to set the moss to the biome you are currently standing in. Once the desired biome has been set, you can go into the hunting dimension and right click with moss (without sneaking) to apply the biome changes. Keep in mind that creeping moss can only change the biome of a chunk in the hunting dimension. Also some of the biomes that are harder to find, like ice plains, can be obtained using some special crafting recipes. Rare mob spawns that serve as mini bosses. Lighting creepers, mobs with armor. Your server is crashing, I would need to see the full log to know what is actually going on. "Unloading dimension -1" means that the nether is being unloaded, which is normal if the server crashes. I have 181 mods installed including library mods. Any thoughts on how to get this instance back up and running? I would need more information on your error, it should be posting something in the latest log file. Is there a way to have this dimension share the same world generation as the overworld? Specifically, not just the equation, but the actual same world structures? Like the hunting dimension is a shadow clone of the overworld, minus anything the player has changed on the overworld? Is there any way to change the portal activation item to something specific? For instance, if I wanted players to use a diamond sword in particular to light the portal. I want the Hunting Dimension to be the only place where mobs spawn, without having to use any commands or changing difficulty. Is there a relatively simple way to set this up? Yes, this mod provides two configuration options relevant to what you want. The first will prevent hostile mobs from spawning in the surface world. The second will prevent peaceful mobs from spawning in the hunting dimension. Did you try hitting the sneak key? Correct, I do not try to sneak... It works! Thanks a lot! Is it possible to regenerate? I don't believe Minecraft is capable of having dimension based difficulty, however I do have a config option that will give a similar result to what you're asking about. In the config you can change mobsInSurface=true to false, and hostile mobs will no longer be able to spawn in the surface world. Sorry, but how am I supposed to get to that config? there's no way to do it in game, so I don't quite understand. Sorry to bother you! In your game folder, near /mods there will be a /config folder. Inside the /config folder there is a huntingdim folder which has files you can edit to change how the mod behaves. there is a mod to apply lvl and game mode per dimension.... maybe that could make the trick. i'm using this as part of the RAD pack, and my hunting dimension is 95% underwater. When I used the creeping moss to change it to anything else (like jungle) it says it changes but when i go in its still the same. Am i doing something wrong? Thanks in Advance! The moss only changes the biome type. It wont change the blocks in the world. Changing the biome but not the world gen is useful because it allows you to get mobs of biomes that may be hard to find. Like mushroom island or ice spikes.